Looking for the perfect place for your Christmas party in London this 2019? 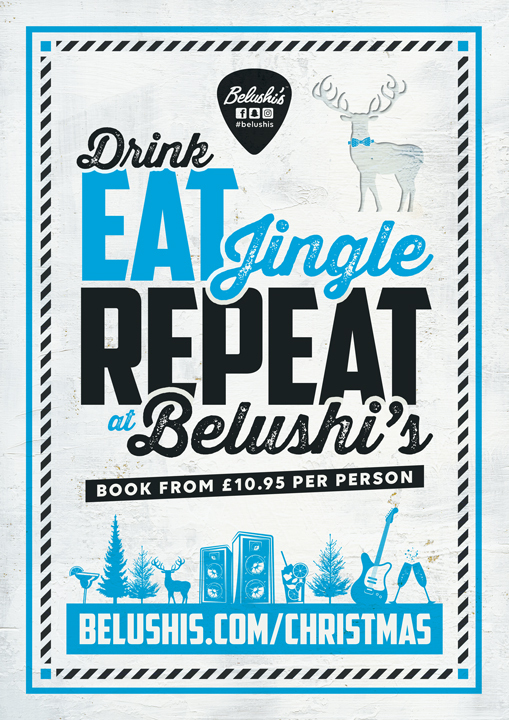 Belushi’s bars will be throwing some of the biggest late-night parties in London all through the festive season! Rock around the Belushi’s dancefloor to insane live music, DJs and, of course, a few festive bangers thrown into the mix. Expect special Christmas burgers, Christmas cocktails plus you can join us for a big Christmas blowout with epic packages for you and your friends or colleagues. Think killer Belushi’s-style buffets, 3 course meals and drink package deals that’ll guarantee you one very merry Christmas in London. Don’t miss it!